Howard Gillman was appointed UC Irvine’s sixth chancellor by UC President Janet Napolitano and the UC regents on Sept. 18, 2014. Gillman had previously served as provost & executive vice chancellor and then interim chancellor. 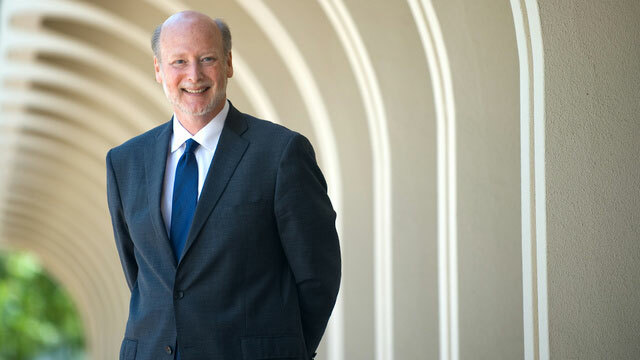 During his tenure, he has launched Illuminations, the Chancellor’s Arts & Culture Initiative; the Medical Humanities Initiative; Water UCI; and the Data Science Initiative. He was officially invested as chancellor at a special ceremony in the Irvine Barclay Theatre on March 31. Read more here.